Alcohol, tobacco and missing trader intra-community (MTIC) fraud are all still big problems. There are a number of warning signs of fraudulent activity, including newly established companies with no financial or trading history. HMRC is encouraging accountants to raise awareness of fraud and remind clients about high risk commodities. Daniel Hedley looks at HMRC's work to target fraud and how accountants can help tackle the problem. HMRC has provided a useful overview of its activities to target fraudulent behaviour and the so called "tax gap". It makes interesting reading and, although HMRC are clearly making progress in reducing fraud, there is still much to be done. MTIC fraud is still a big problem. This is also known as "carousel" fraud and involves individuals obtaining a UK VAT registration, using this to buy goods and services, effectively vat free, from another EU member state, and then selling these on at a VAT inclusive price in the UK before disappearing off the radar without repaying the output VAT which they charged. Typically the types of goods involved are fast moving consumer goods and technology items such as mobile phones and computer chips. Alcohol fraud is taking place along multiple lines including its smuggling, counterfeit, inward diversion (duty suspended goods go from UK to another EU member state and then back to the UK without any duty), outward diversion (allegedly sold to EU member state but never actually leave the UK), misdescription and abuse of regulatory regimes. Tobacco fraud takes place in the form of smuggling, bootlegging (using low duty rate locations) and counterfeiting. The tax gap is around £1.3Bn or 12% of the total liability. 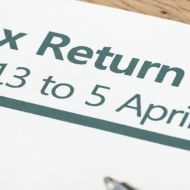 HMRC have also listed some common questions that may wish to be asked, as well as some likely warning signs that all might not be as it seems, that accountants and auditors may wish to consider if they have clients who operate in markets which could be exposed to these illegal activities. What is applicable will depend on whereabouts the client is in the supply chain. Packaging – what is required and what is normal for the type of goods? Marketing – who do they target, where do they sell (countries), what is their strategy? Sales – who do they target, who won't they sell to, how do they sell surplus, what is their product recall strategy, what market intelligence do they possess? Tax/duty issues – do they hold duty free products? If so, who do they sell to? Do they hold proof of duty paid status? Importers – are they licensed importers / licensed agents, what is their market, where is the product sourced from, how do logistics work? Newly established or recently incorporated companies with no financial/trading history. Established companies that have been recently bought but have no historical involvement in the sector. New companies managed by individuals with no prior knowledge of the sector. Companies with business models that are unsuitable for the sector in which they operate. Companies making extensive enquiries about duty implications of trade in the sector in which they operate. Significant increases in the volumes and values of trade. HMRC is keen to involve accountants in the fight against fraud, particularly as they find themselves in the "middle ground" between the potential evaders and HMRC. Spreading the word amongst customers about the risks of getting involved with fraudulent activity (either directly or indirectly). Thinking about their customer base and whether any of them fall within the descriptions or warning signs listed above. Considering standard business demographic information to determine whether the business we are dealing with falls within average parameters for growth and general organisation and structure and then question disparities. Encourage customers to share any concerns with you if something seems too good to be true – it usually is. Tell HMRC about any concerns which you may have through your customer service manager. If in doubt about any unusual situations, practitioners are encouraged to call the customs hotline on 0800 595 000 and quote "bakewell".